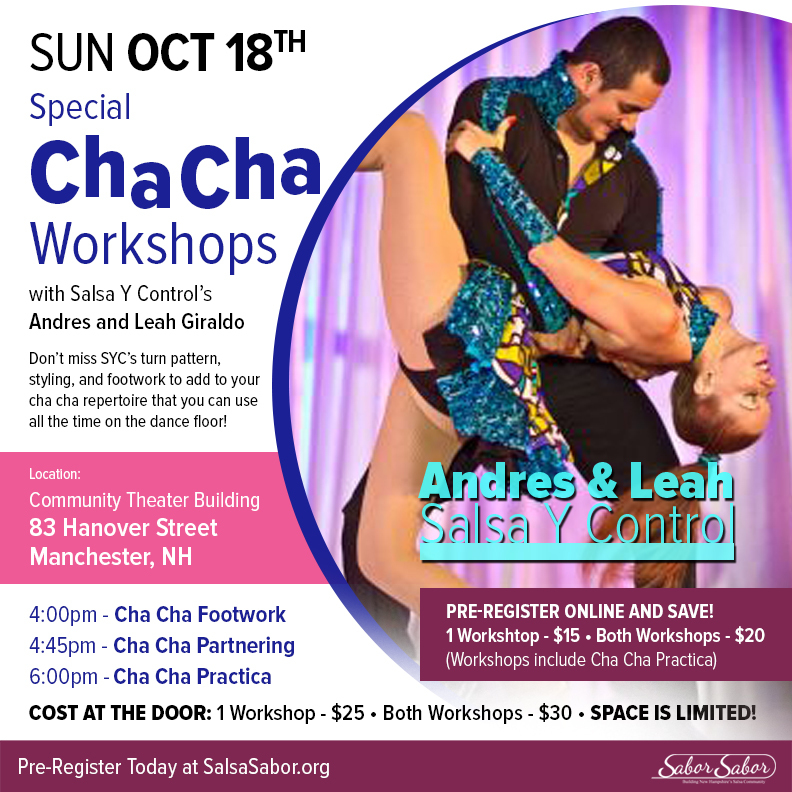 Pre-Registration now available for Cha Cha Workshops with Salsa Y Control’s Leah and Andres October 18th! 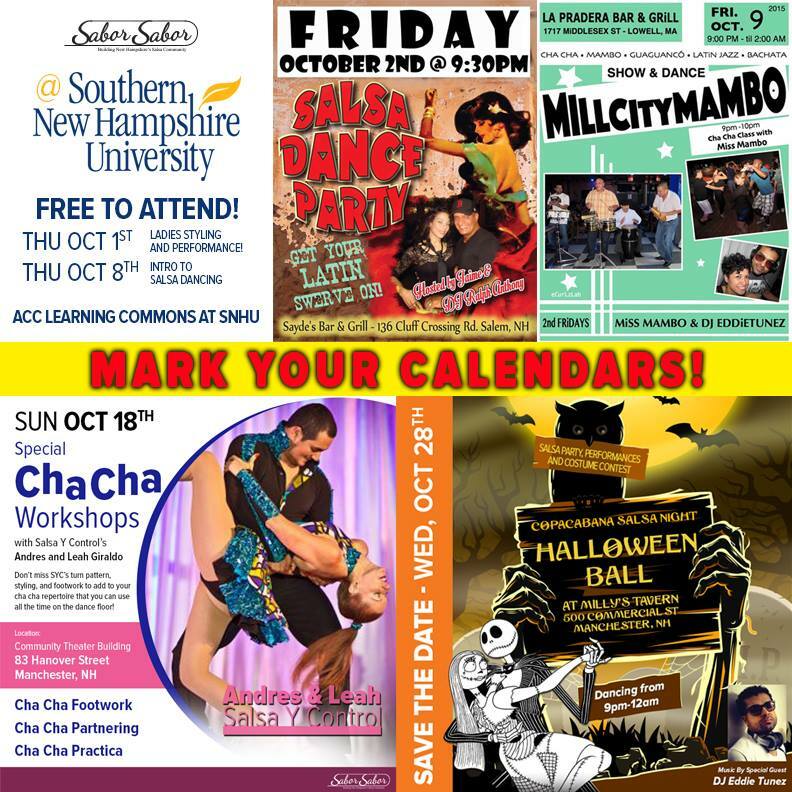 Don’t miss out on these great Cha Cha Cha workshops by Leah and Andres of Salsa y Control! Sunday, Oct 18th. at 4:00pm – 8:00pm. 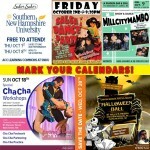 These workshops will be held at the Community Theater Building, 83 Hanover Street, Manchester, NH. 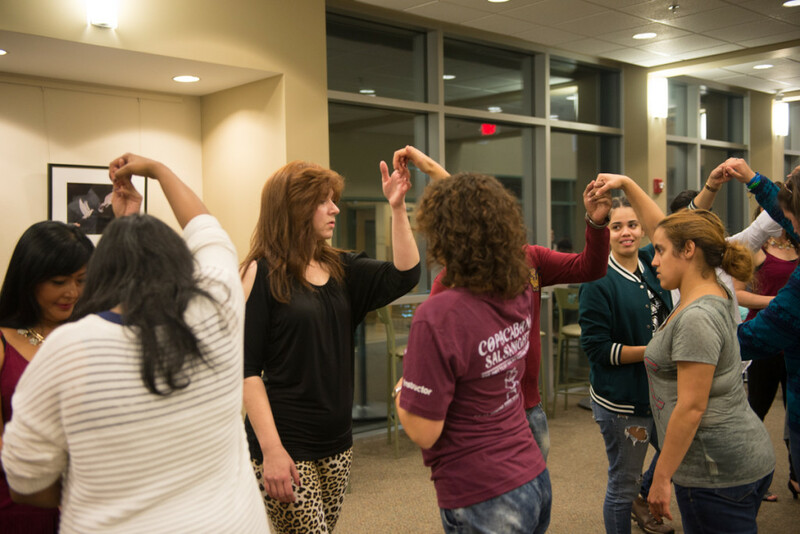 Preregister for one workshop for only $15 and save! 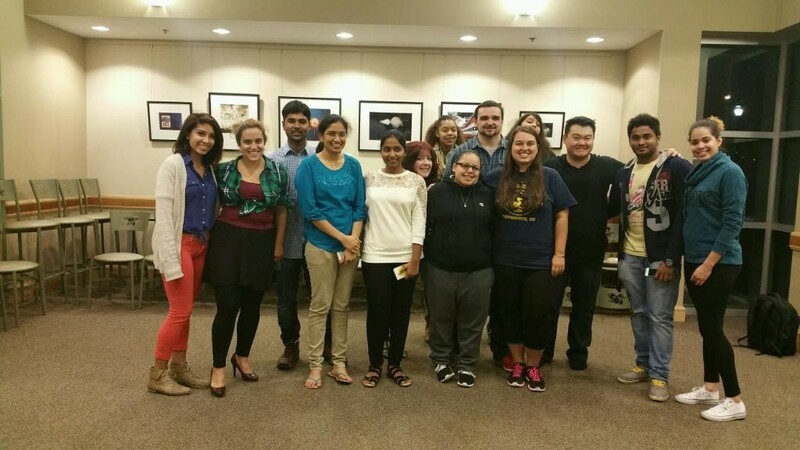 Preregister for both workshops for only $20 and save! We are very excited, and hope you all take advantage of this great opportunity. Please tell your friends and share this page. 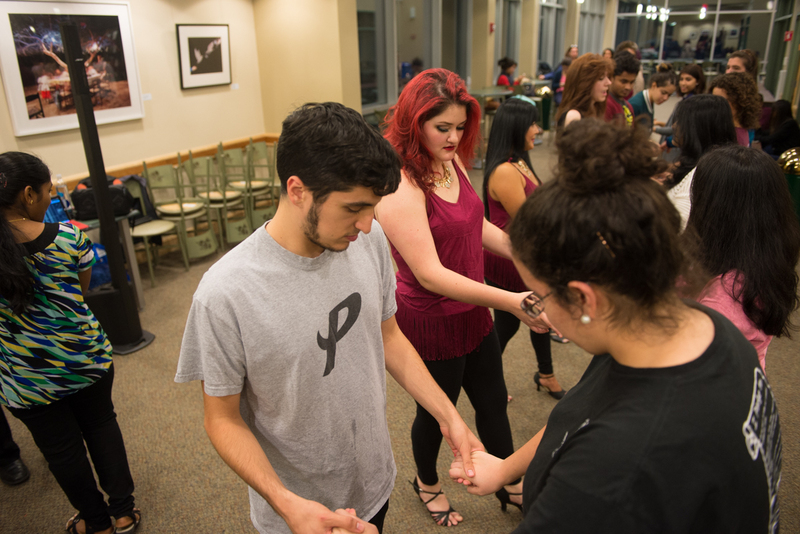 Tomorrow is the first Wednesday of the month, that means it’s Bachata Wednesday. 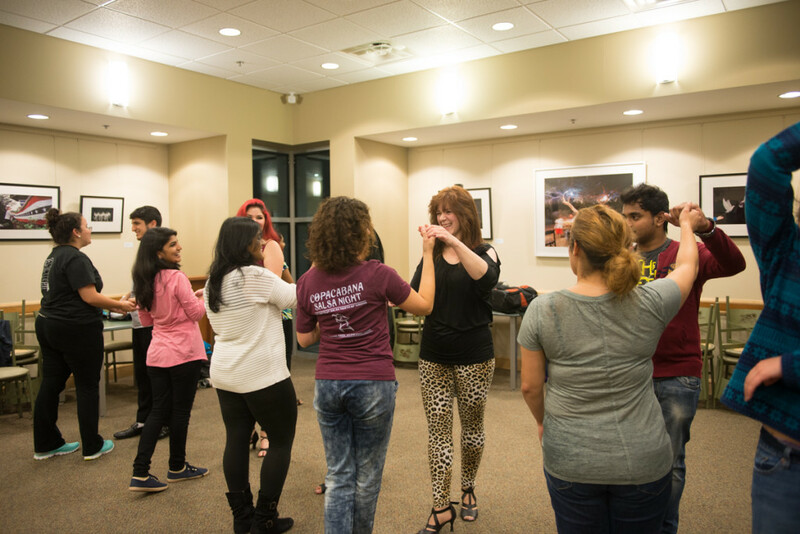 Our once a month Bachata lesson 6:45-7:45pm before the weekly Salsa lesson. 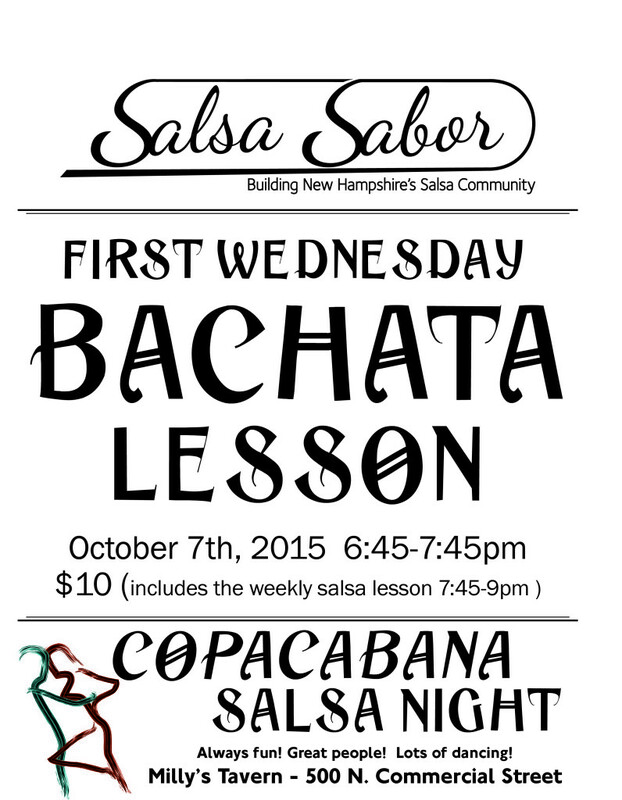 Cost is $10 and includes the Salsa lesson afterward. 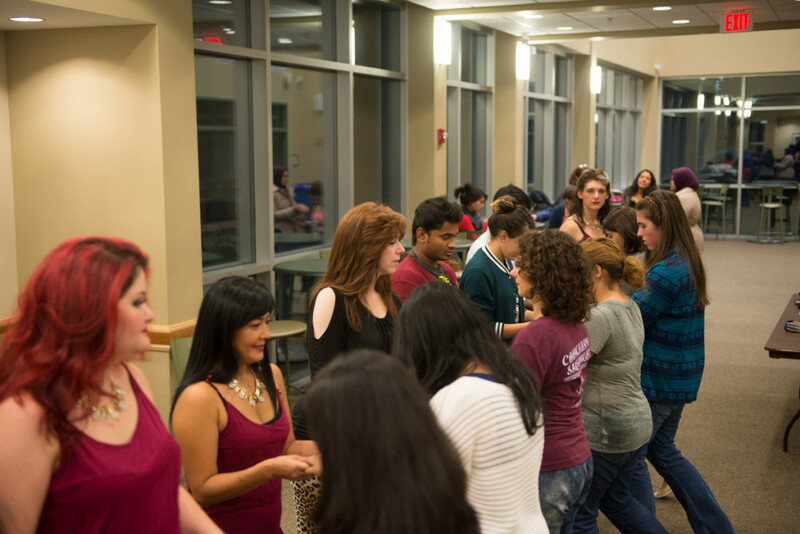 Have fun dancing with us Wednesday night. As always, never a cover for the social dancing. 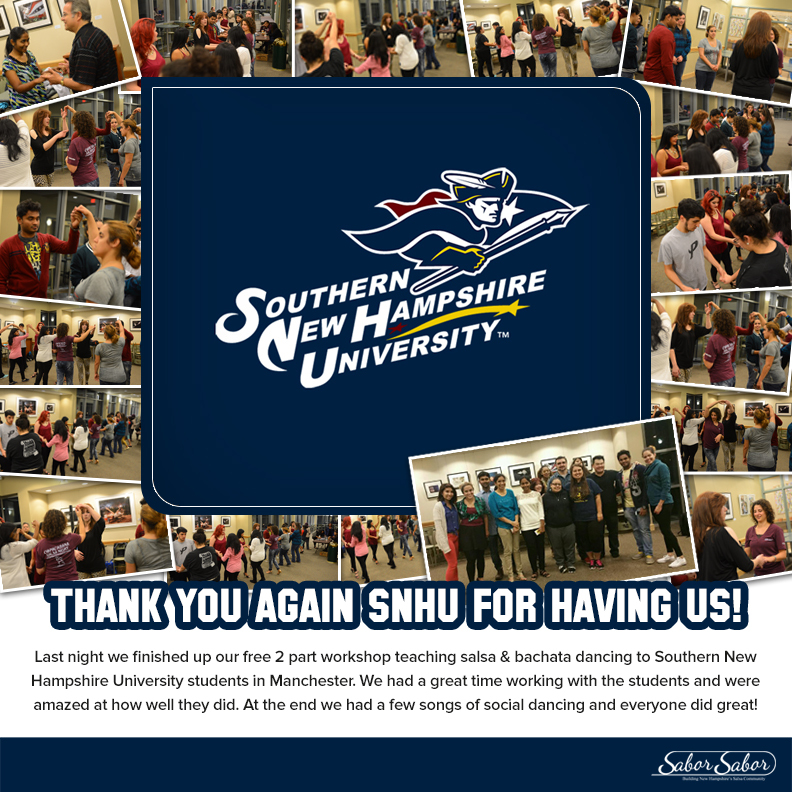 Always friendly, always fun, dance to the best music in New Hampshire. No experience necessary, no partner required.